Arising from a dissatisfaction with blandly general or abstrusely theoretical approaches to translation, this book sets out to show, through detailed and lively analysis, what it really means to translate literary style. Combining linguistic and lit crit approaches, it proceeds through a series of interconnected chapters to analyse translations of the works of D.H. Lawrence, Virginia Woolf, James Joyce, Samuel Beckett, Henry Green and Barbara Pym. Each chapter thus becomes an illuminating critical essay on the author concerned, showing how divergences between original and translation tend to be of a different kind for each author depending on the nature of his or her inspiration. 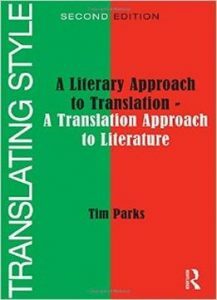 This new and thoroughly revised edition introduces a system of ‘back translation’ that now makes Tim Parks’ highly-praised book reader friendly even for those with little or no Italian. An entirely new final chapter considers the profound effects that globalization and the search for an immediate international readership is having on both literary translation and literature itself.